If you happened to miss it, we just posted a Co-Op FAQ for Minecraft: Xbox 360 Edition on the site. Better late then never, right? Keeping with the Minecraft theme and with Halloween right around the corner it's a good time to combine the two. 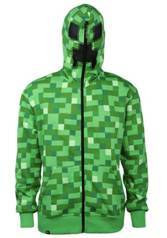 It's always fun to dress up in your favorite videogame character, like perhaps, a Creeper from Minecraft? Co-Optimus and HalloweenCostumes.com have you covered with a giveaway just in time for Trick Or Treat. 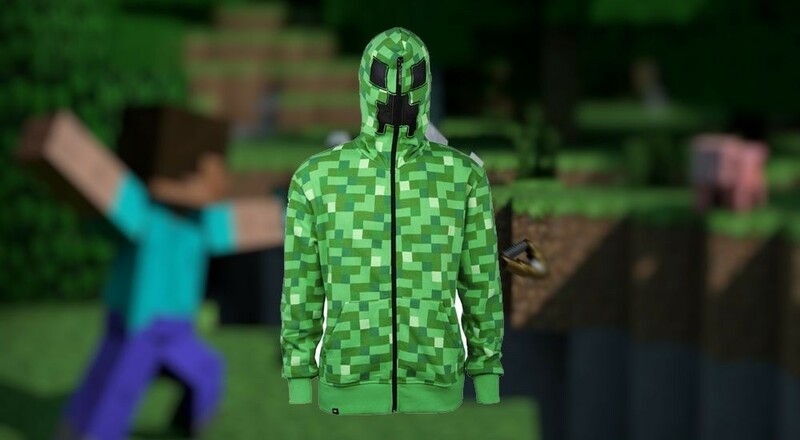 Up for grabs is one Minecraft Creeper Hoodie sweatshirt in the size of your choice. Here's what it looks like. To enter to win simply click the button below and enter once per day until the contest ends on Saturday, October 26th at noon Eastern. We'll choose one random winner. Sorry folks - contests is open to US Residents only. Good luck! Special thanks to HalloweenCostumes.com for supporting the contest. You can find their full line-up of videogame themed costumes on their site. Page created in 0.2967 seconds.